Welcome to Day #4 of Chocolate Chip Week. 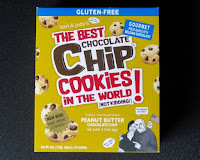 Today's Peanut Butter Chocolate Chip Cookies from Bart's Bakery (Los Angeles, CA) were part of a larger product line described as "Bart and Judy's The Best Chocolate Chip Cookies in the World." These small cookies were relatively light and crispy-crunchy with a light peanut butter and chocolate touch. 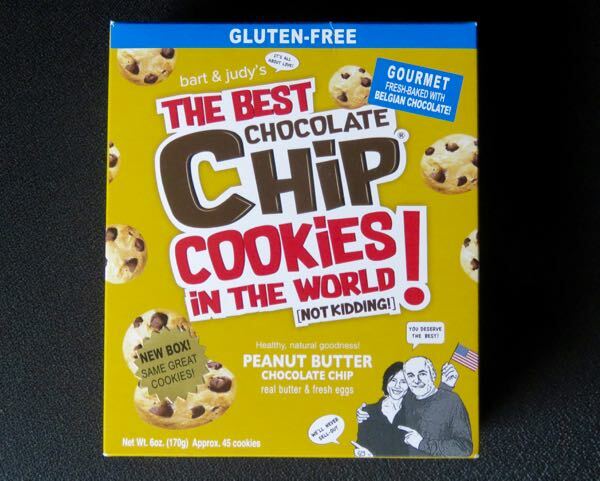 They were made with real butter, fresh eggs, "Bart and Judy's Proprietary Gluten Free Flour Blend" and Belgian chocolate chips. 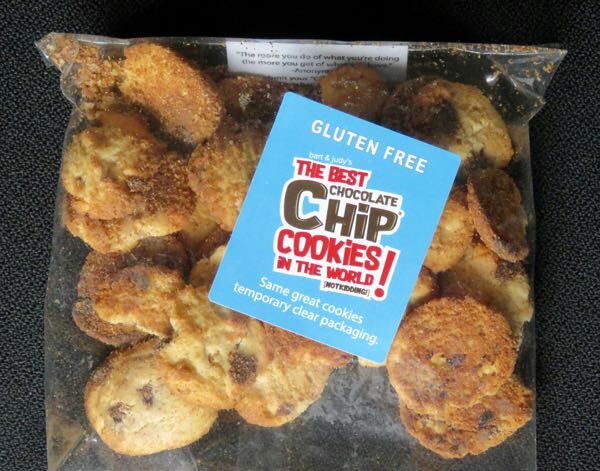 At only "11 calories each" these provide a relatively light cookie snack. The box contained two individually-sealed packets, permitting smaller servings while prolonging freshness.